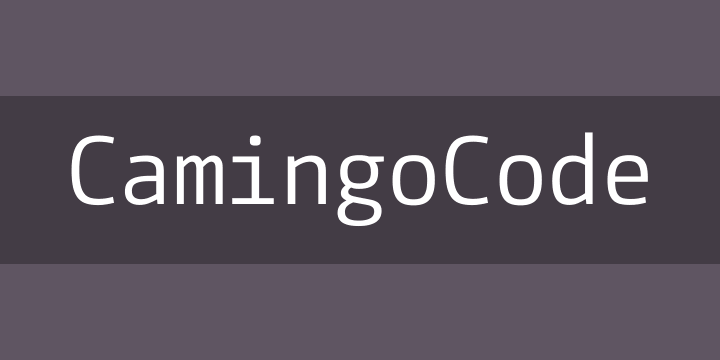 CamingoCode is designed for source-code editors. It is based on CamingoMono, but has several specially drawn glyphs that work well at small sizes, including Q, l, &, *, ~ and #. The stroke weights are relatively light, which makes CamingoCode suitable for both bright and dark visual themes. The family consists of four style-linked fonts (Regular, Italic, Bold and Bold Italic) and is manually hinted to give the best possible appearance on screens.